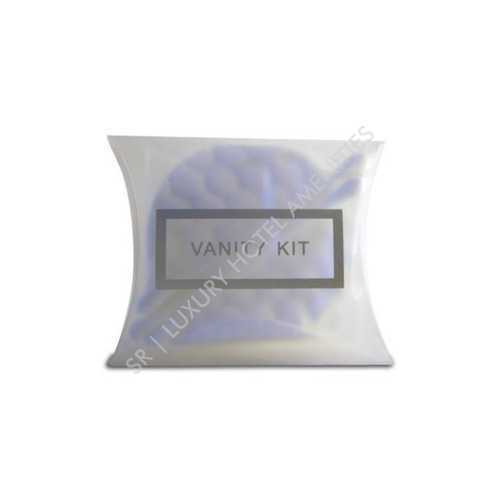 With our affluent industrial knowledge, we are occupied in offering a wide assortment of Vanity Kit. We provide these products to our customers in different option as per their needs. Moreover, to maintain the quality, our products are checked by quality experts on different industry parameters. Apart from, we offer these products in dissimilar packing option and at low prices. Packaging Details: Biodegradable and recyclable packaging..
We provide Airline Amenities kits like: Wet Amenities(Toiletries) and Dry Amenities (Guest Room Amenities). In Wet Amenities we provide kit consists: Shampoo, Conditioner, Shower Gel, Moisturizing Lotion and Soap. 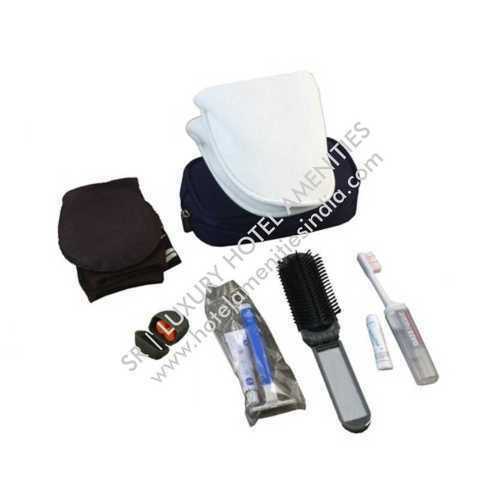 And In Dry Amenities we provide Dental Kit, Shaving kit, Comb, Sewing Kit, Vanity Kit, Business kit, Slippers.